A very awesome and passionate tribute to an american icon! Really like what you wrote man, very true. Awesome illustrations too - i L O V E the thriller one at the top! GREAT! My favorite's the "leaning" Jackson hahaha. Oh btw, thank you so much for answering my question at the Drawn to Life panel a few weeks ago. I was the one who asked what I can do to keep drawing. amazing post, and great work as always! Awesome. I got to bumpin classic MJ tracks as soon as I found out here at work too. And I'm so glad to see the immediate outpouring of tributes to the more positive aspects of his life. for both the King of Pop and these utterly amazing works of awesomeness! Great Story and great illustrations..! I wanna make the smooth criminal one a desktop image. nice stuff Shane. "The Moving King" if only us kids had this kind of dedication, I guess I must work harder to win my gold. Love what you wrote! I grew up with his work and he meant so much in my life. His songs actually made me think, instead of just dance~but there were those too. Great tribute Shane! Beautiful illustrations of Micheal as well! Awesome work. I don't think there's any single person left in the entertainment business that can create that kind of impact. Honestly I feel like studying him to learn dance. Really fantastic images, really great and accurate movement in there. yeah i use to be a MJ freak too. i think i can still moonwalk. haha. These are the best Michael Jackson drawings I've ever seen! They perfectly capture him! Great post and drawings! So true what you say about drawing on outside influences and his absolute commitment to perfection -- very inspiring. dude these are just too damn sweet. I like them all. THanks for the cool coments guys.I have been looking for an excuse to draw some MJ. And I'm glad people can actualy talk about Michael now. SHIYOON: Yes ABSOLUTELY THE ELECTRIC BUGALOOS! I Added a blurb about them in the post now. OF COURSE!! Thanks for calling me on it. Nice tribute, Shane! Awesome drawings too! I love the leaning MJ. I DO remember how much of an MJ nerd you are. Actually, you turned our whole class to him when you and Shannon came by Andy's class and showed us those rad videos. It's like watching a lava lamp - you can't take your eyes off him. These pieces are the business! Particularly the "Thriller" one. Some very nice and passionate words too about Michael Jackson. I was born on his birthday August 29 but 20 years later. His music always makes me wanna dance...Aaowwwww! Hey Shane, I'm really feel'n what you're saying about MJ. He will go down as the GOAT. 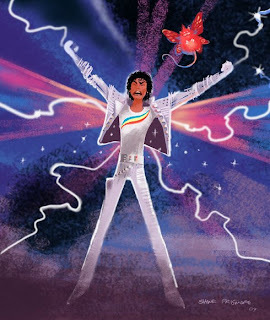 Your MJ drawings are great abstractions of him from all the classic periods. These are amazing. Each image brought back a whole load of memories from when I was little. Nice one. Shane...awesome as always. I remember you dancing like MJ at Tiff's 16th b-day party. Great drawings and tribute. 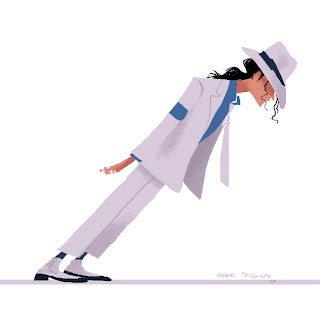 Great tribute Shane-I wasn't aware just how much MJ had researched motion in all forms. CAN YOU FEEL IT is one of my all time favourite promos. The man was a true original, trail-blazer. God rest his his soul. and he was a Talent EXTREME. These are fantastic! You really captured the essence of each of his looks. Woah, I really like what you wrote and more so, how you wrote it. Without ignoring the wierdness that surrounded him, but focussing on him as an artist (as that is what he should be remembered for). I only just enjoyed his music and didn't know any of that stuff about how he learned all his moves and movement from all those different people. Really interesting. Thanks for sharing that. what an incredible tribute...and of course your illustrations are as beautiful as ever. Love these drawings Shane (and the information as well)! You captured him perfectly- the poses, the feet. Due, that Thriller zombie is AWESOME! And you're right about MJ's talent. I hope that's what people will remember when they think of him, and not the sideshow aspects of his final years. what an awesome post man about MJ, I followed the link from facebook, we pretty much share the same respect for MJ, the drawings are top notch as well, that smooth criminal lean is MJ to a tee. Great image and a great tribute to MJ. damn!!!! these are great works. i hope you will not be annoyed if i've put one of your Michael's arts on my blog. Are you kidding me?! That's awesome!!! They must have seen your drawings and been like "Get this kid a ticket, now!" Awesome , and awesome drawings ! Yeah I'm freaking out over it. Pretty crazy. God ,I hope Corey Fieldman is there! No , its gonna be crazy town for sure though. I'll keep you all posted. hope you take some photos. Love your MJ pieces. Thinking of you today! Can't wait to hear about it!!!! I was wondering who, in the animation/illustration community would make the best hommage. I think you did ! Shane, I love your Michael Jacksons...especially the zombie Thriller one...I would love to sculpt it! Hope your well. Such a good tribute. I love the smooth criminal! 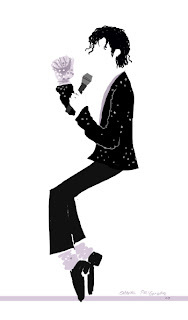 OOOOOH I was waiting for an artist to do some MJ tribute drawings...and yours are brilliant! I was going to do some images, one from Beat It as its my favourite, but was so busy...would you mind doing that one PLEEEEASE? I love your paintings so much Shane! is it possible to get a print of any of the michael jackson pieces? I searched through all the comments, and nobody has asked... is it bad form? I am WILD about these images... Señor Prigmore? It's funny, when I heard he died I thought of you and how much you loved his work. The saddest thing to me is that MJ could not have seen your drawings of him. I think he would have really loved them. So to the true fans who knew MJ was too innocent to hurt anyone I send my condolences . the Michale you have on here are amazing... makes me look at my Michale in a new light! These are awesome! Love the style and poses! Love those Michael Jackson caricatures especially the Thriller one!!! I remember when that video debuted!! Everyone talked about it all day at school the next day!